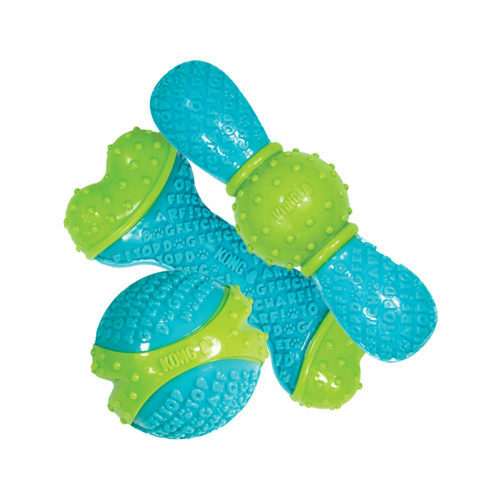 The KONG Core Strength is a perfect chew toy for your dog. This toy with structure helps clean the teeth and massages the gums. The KONG Core Strength consists of several layers. This strong chew toys have a lot of structure on the outside. This special structure massages the gums and helps clean your pet's teeth. The inside of the toy is made of a strong material. The chew toys are available in six different variants. Have you used KONG Core Strength before? Let us know what you think about this product.